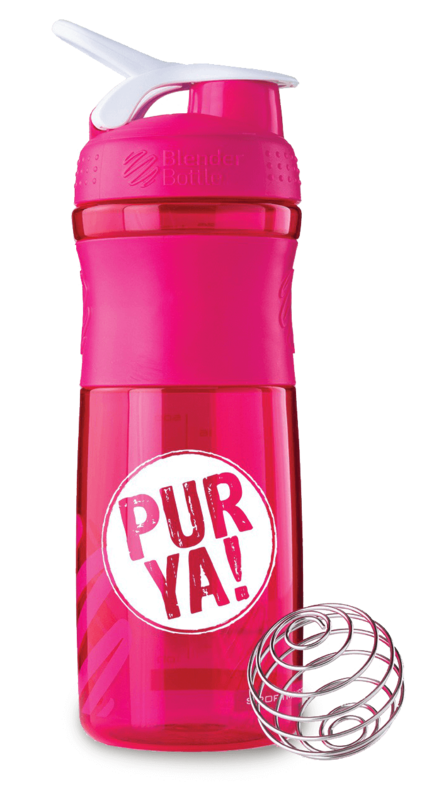 The ergonomic drink opening and the “stay open flap” of the blender bottle sport mixer from PURYA! make drinking during sports or on the go easy. The blender ball perfectly mixes even the thickest ingredients. It is made of 316 medical stainless steel, thus making it food-safe. 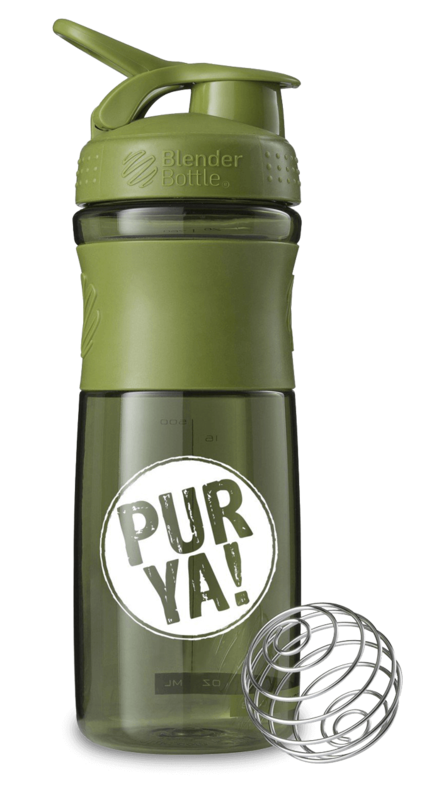 The plastic is BPA & BPS-free, odour-blocking and dishwasher safe. BPA stands for bisphenol A and BPS for bisphenol S. Both are chemical compounds from the diphenylmethane derivative group and bisphenol. They are suspected of being a threat to health when used in plastics. 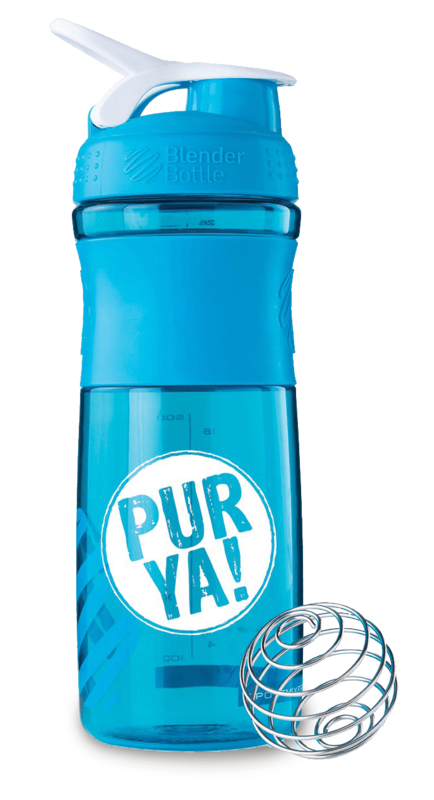 Thus, we think it makes sense that our sports bottles be made of plastics free of BPA and BPS. The rubberised grip offers a firm hold and millimetre markings are embossed on the side to facilitate measuring. The blender bottle for perfect protein shakes and smoothies.